Time-lapse photography is an interesting way to capture certain types of events. The idea is simple: take a photo every so often to see the progress of something occurring too slowly to be observed in real-time. Time-lapse photography is also useful for capturing: images under very low light conditions; images of the night sky; or creating special effects. 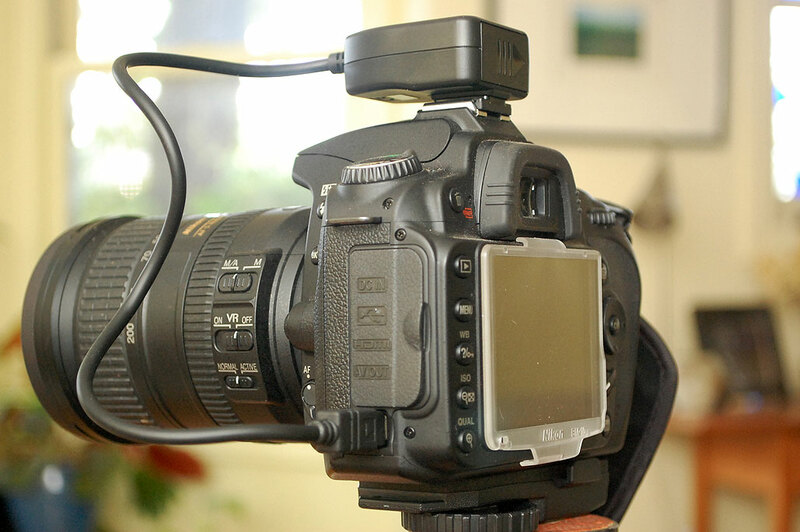 The Nikon D90 camera has built-in timer functions, but its timing capabilities can be vastly extended with the use of an external timer. 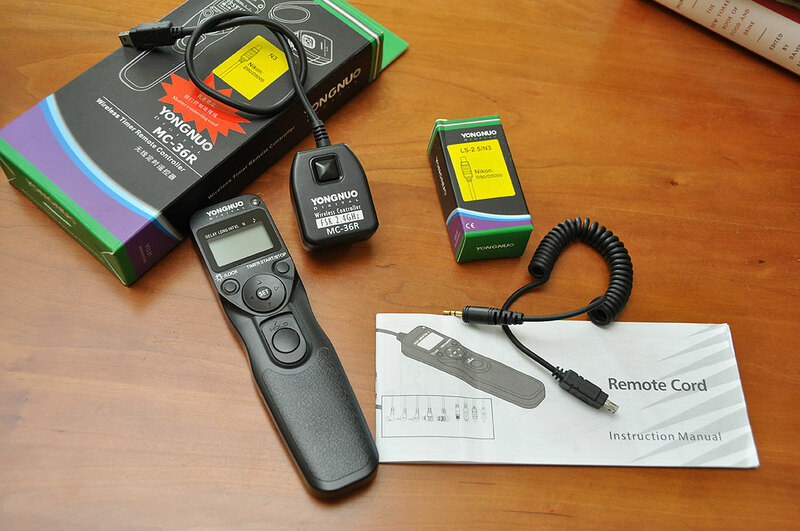 Nikon does offer a wired remote timer/controller (MC-DC1), but we find that remotes from many 3rd-party vendrs offer more flexibility and setup options. A corded timer will work with a specific camera, but a wireless timer can work with other cameras just by getting the appropriately corded receiver. They cost a little more up front compared to a dedicated unit, but will pay off when new cameras are added to the collection. After looking at various timers, we decided on this wireless unit made by Yongnuo. We liked the basic shape of the controller and we also liked the fact the controller can be wired to direcly trigger the camera’s shutter using a camera-specific cord. The receiver unit plugs into the D90’s GPS port and communicates digitally with the controller via radio frequency (2.4GHz). The controller/receiver can be specifically paired via the dip-switch settings. The controller is powered by two AAA batteries. The receiver is powered by a CR-2 lithium cell. We are currently working on a few project ideas for testing the remote timer. Regardless, we will have a FirstUse report on the basic workings of the Yongnuo wireless unit shortly. Look for it in the Fall. Note: There are many vendors and sellers on EBay selling similar items. Most of these sellers are based out of China or Hong Kong. It is sometimes questionable whether you will get what you ordered. The two sellers we have used successfully are Apexcam and Niki_luo. We like these two sellers because they are quick to answer our emails, are clear and friendly in their communications, and ship their items quickly. Our timers were received in less than a week with no problem. We recommend them to readers who have Nikon accessory needs.